We are a small business based in the heart of Marylebone. 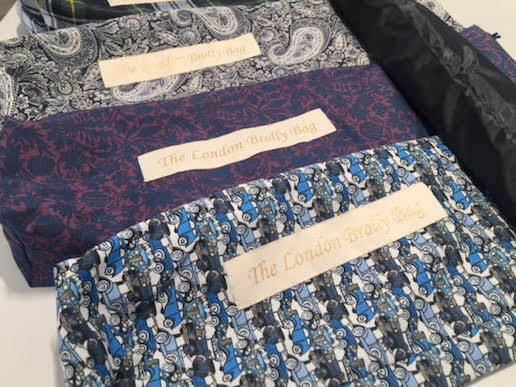 Our unique Brolly Bags are all made in England by a small team of ladies. We have five ranges which comprise the New Collection, Bestsellers, Special Occasions, the Limited Edition Collection and the Men's Collection. 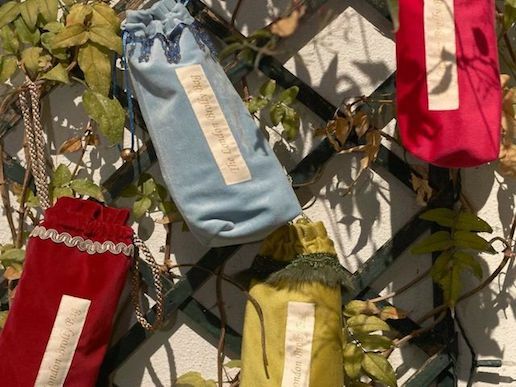 We endeavour to provide a Brolly Bag to suit your individual needs and tastes. The ideal solution for carrying a wet telescopic umbrella as it keeps your brolly safe and your bag dry. 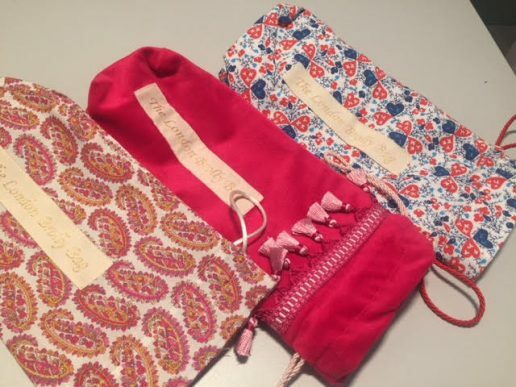 Designed with a fully waterproof lining, they come in a variety of fabrics from Liberty tana lawn cottons to velvets and silks. You will never forget your brolly again! 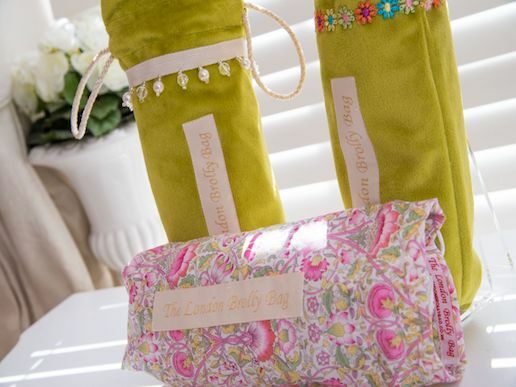 We would be delighted to make bespoke Brolly Bags for any special occasion. Please contact us for further details.